Vienna – IOM, the United Nations Migration Agency, has renewed its call for the protection of the rights of all people on the move, through a global compact for migration which will shape the migration agenda for decades to come. 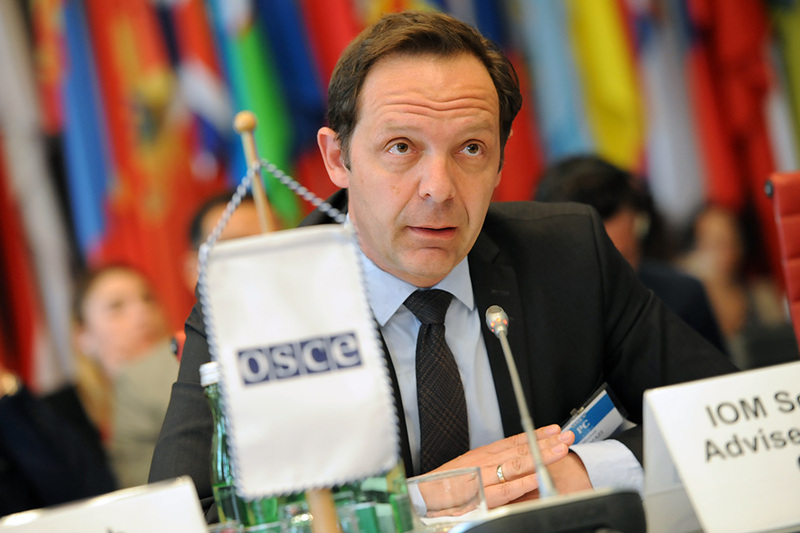 The call was made at yesterday’s (03/05) session of the Permanent Council of the Organization for Security and Cooperation in Europe (OSCE) in the Austrian capital, Vienna. Manfred Profazi, IOM’s Senior Regional Adviser for Europe and Central Asia, representing the Director General, said it was time for a unified effort to build cooperation and consensus around migration issues. “The global compact for migration, expected to be adopted by the end of the year, represents an unprecedented opportunity for the international community to move away from reactive approaches to migration governance and work in a dedicated manner towards a common vision of a world in which migrants move as a matter of genuine choice and not desperate necessity,” he stressed. Profazi was speaking at the invitation of the Italian Presidency of the OSCE at a special session of the Permanent Council devoted to migration, refugees and large movements of people. Earlier, Ambassador Alessandro Azzoni, chairing the council, reminded delegates – composed of representatives of the 57 member states – of the centrality of migration in today’s world, describing it as “an essential part of human development”. The invitation for the UN Migration Agency to participate comes as a result of discussions between OSCE and IOM’s Regional Office for South-Eastern Europe, Eastern Europe and Central Asia. OSCE’s Permanent Council is the principal decision-making body for regular political consultations and for governing the day-to-day operational work of the OSCE between the meetings of its Ministerial Council. It implements, within its area of competence, tasks defined and decisions taken by OSCE Summits and the Ministerial Council. Manfred Profazi, IOM’s Senior Regional Adviser for Europe and Central Asia.